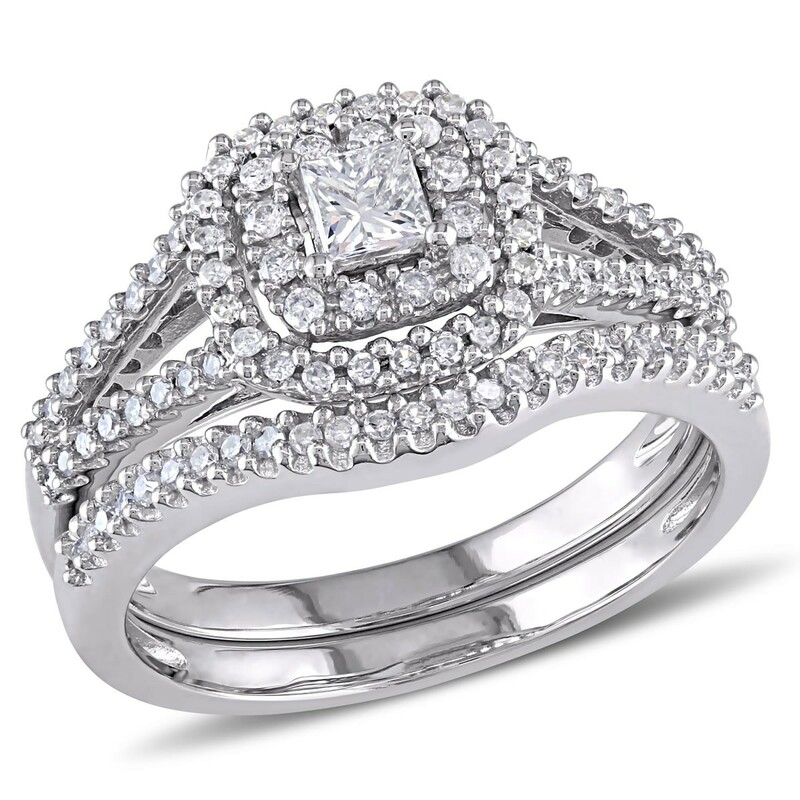 Bridal sets offer many advantages over engagement rings and wedding bands that have been purchased separately. If you wish to coordinate the color and shape of your engagement ring with your wedding ring, opting for a bridal set is your best bet. 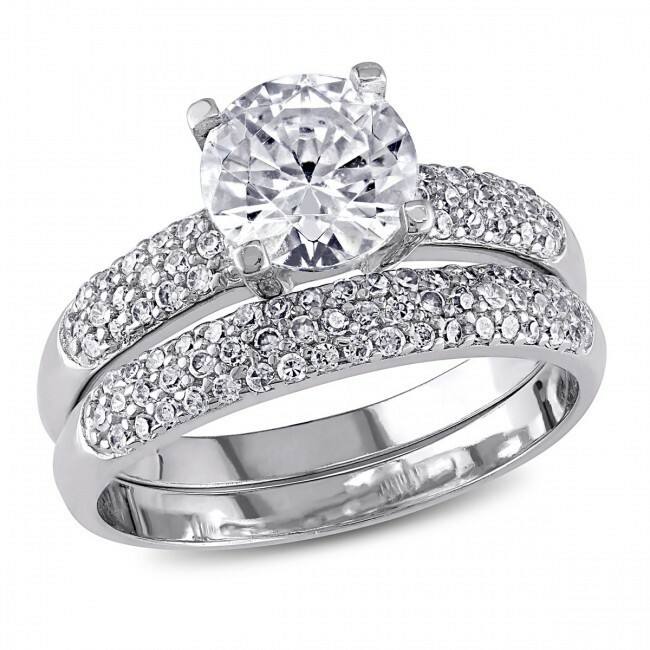 Diamonds last forever, so you’re going to need a setting that’s just as durable. Let’s start by picking your ideal ring setting. From prong, halo, invisible, channel, pave, micro-pave to bezel, there are many options to choose from. Do you prefer white-gold or yellow-gold jewelry? White gold and platinum look identical but platinum costs significantly more. If you’re in a more manual environment often, you might want to consider platinum as it’s more durable. You may want the wedding ring to be shaped depending on the design of the engagement ring. Varieties of Sweep, Crossover and V-shaped bands are all great pieces that can be fitted to the engagement ring so you can be sure it will be a perfect match. Take your pick from a range of matte, high polish or dual-tone finishes to emphasize the detail of your ring. Some couples like to add something personal to their rings, like a Milgrain detail or engraved inscriptions of the partner’s name, date of the wedding, or even a quote that means something special to each other. You can incorporate such details in your rings too. We hope you found this guide to buying the perfect bridal sets handy. Happy Shopping! About Author: Silvia Lobo dons many hats, that of a lifestyle blogger, wife and mom. A fashion lover and style influencer, she thrives on writing, like contributing feature articles for Samuels Jewelers on topics such as Bridal Ring Sets and diamond jewelry, fashion earrings, the latest happenings and trends. She also loves indulging in activities like yoga, cycling, and swimming.